Andy Yiadom had agreed his Barnsley exit, after securing a deal at Reading. Yiadom’s contract at Oakwell runs out at the end of June and he is free to sign a deal with another club. The Ghanaian international joined the South Yorkshire outfit two seasons ago, from Barnet, and refused to consider a contract extension last term. Full-back Yiadom memorably did an unsanctioned interview to try and force a move away last summer. However, the Reds’ resolve meant they kept the player until the end of his two-year deal over fears they would not be able to replace him a year ago. The 26-year-old passed his medical at the Royals yesterday and is believed to have penned a long-term four-year deal at the Championship club who finished 20th last season. Last summer, Yiadom failed his Huddersfield Town medical - due to a stress fracture in his back - which curtailed his dreams of a Premier League move. Paul Clement, now boss at Reading, saw two bids knocked back by Barnsley when he was manager at Swansea City last summer. Then Barnsley boss Paul Heckingbottom valued Yiadom at £2million, much higher than the £750,000 the Swans offered. But Clement has wrapped up the signing for free and warded off Heckingbottom’s interest at Leeds United in the process. Heckingbottom is understood to have been keen on a reunion with Yiadom at Elland Road. 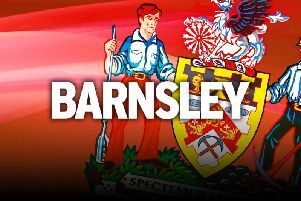 However, the hierarchy at Barnsley’s bitter Yorkshire rivals were uncertain about pursuing the player - despite Heckingbottom’s interest - due to a plethora of right-backs at the club. Former Reds’ defender Heckingbottom was the man who bought Yiadom to the club in the first place and mauled him into a proven Championship commodity, but he looks set to miss out on the player. Yiadom made 66 appearances for the Reds and wore the captain’s armband towards the end of the season after Angus MacDonald moved to Hull City and vice captain Adam Davies’ position in the side was uncertain.